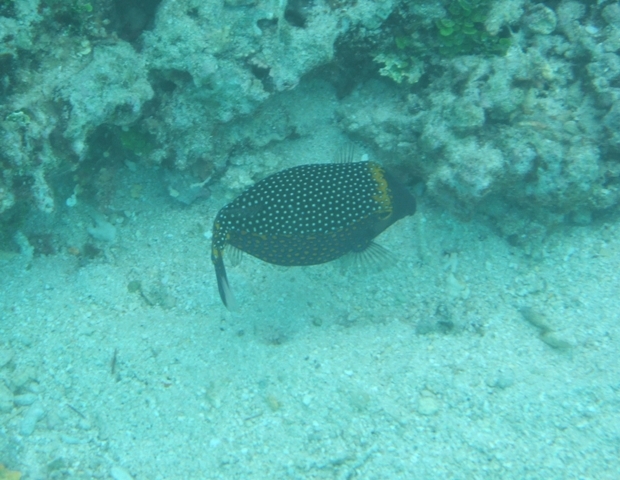 We went swimming and snorkeling a few times at a good beach on the west coast, but colds (things you get in big cities, but not at sea!) 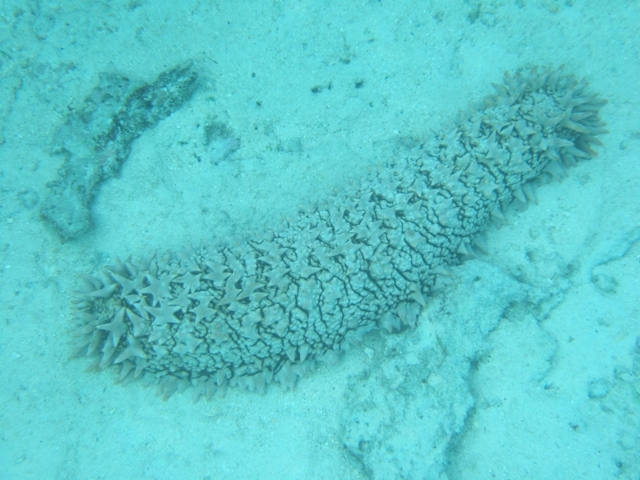 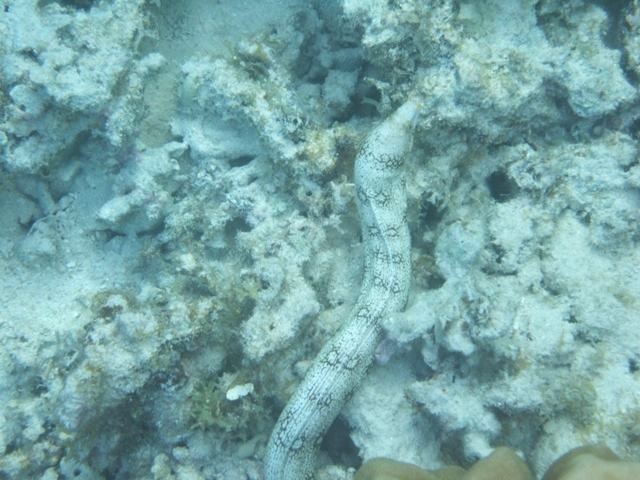 that lingered on meant we didn't do as much snorkeling as we had hoped. 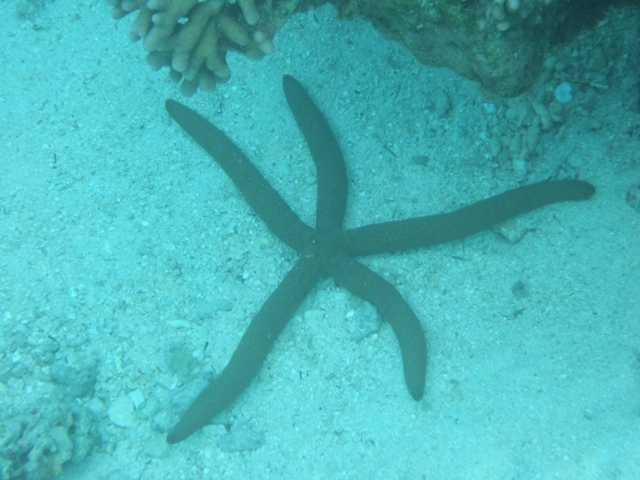 Five-armed starfish (also saw a four-armed one). 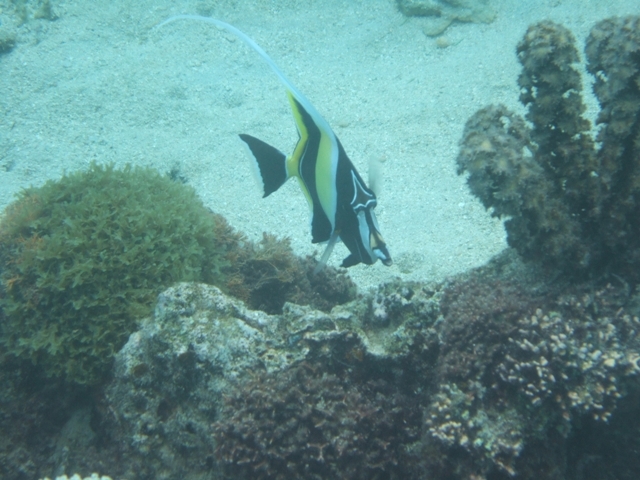 Moorish Idol - from the front for a change! 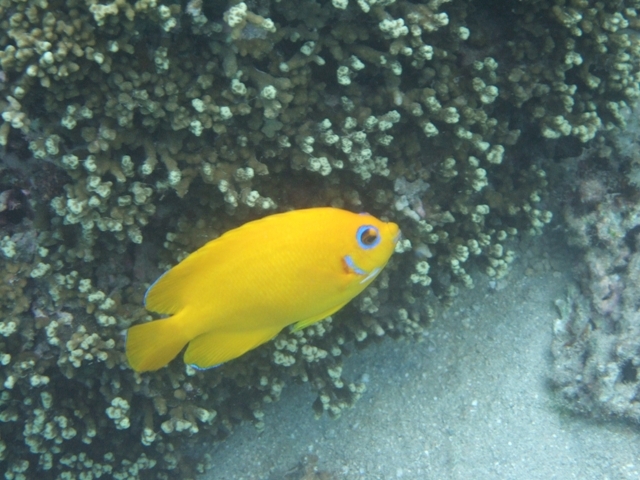 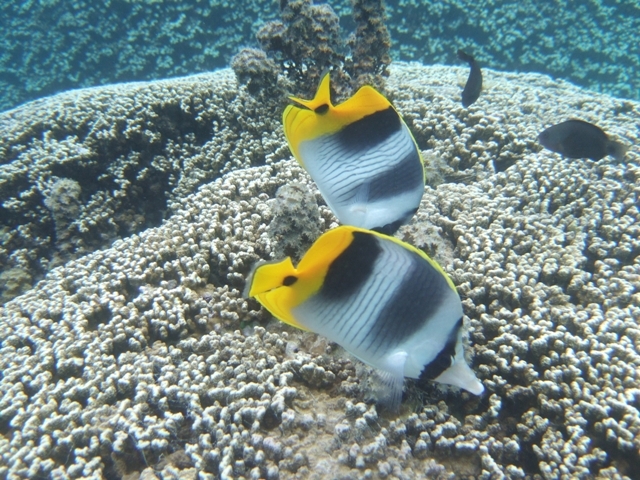 A pair of Pacific double-saddle butterflyfish.